The Hospital Sisters of St. Francis, members of an international, multi-cultural Franciscan Congregation with headquarters in Germany, will host a meeting of their international Congregation from September 6-22, 2018 at St. Francis Convent, Springfield, IL. Due to property limitations at the Motherhouse in Münster, Germany, this is the first time in the Sisters’ 174-year history that the Chapter will not be held in Germany. The General Chapter of Elections and Affairs for the Hospital Sisters of the Third Order Regular of St. Francis, the highest decision-making authority in the Congregation, is a meeting that is held every six years to elect the leadership team and provide direction for the international Congregation which has Provinces in Germany, Poland, Japan, India, and the United States. Currently, more than 700 Franciscan Sisters serve in those five countries and in The Netherlands, South Korea, and Kazakhstan. Twenty-six Sisters representing the Provinces are elected as delegates and will attend the General Chapter in Springfield. “As an international Congregation, you will notice differences in our nationalities and dress. However, the core of our Congregation rests in ‘being and bringing the healing presence of Christ’ into our world, wherever we are and whatever we do,” explained Sister Sherrey Murphy, OSF, General Superior (pictured above). On September 14, The Most Reverend Thomas John Paprocki, Bishop, Diocese of Springfield in Illinois, will preside over the election of the Congregation’s General Superior. Following her installation, the new General Superior will then oversee the election of the General Vicaress and General Councilors. The Superior, Vicaress and Councilors form the Congregation’s leadership team in Münster. Because the Congregation is of Papal Rite, all major decisions require Vatican approval through the General Superior. 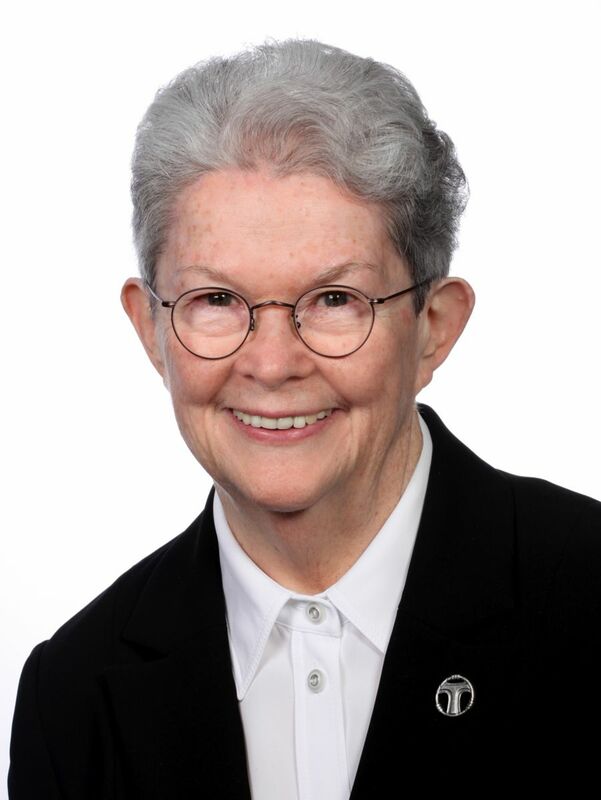 Since 1852, there have been 10 General Superiors and the two most recent are from the American Province: Sister Mary Ann Minor, OSF, ninth General Superior, who served from 1994-2006, and Sister Sherrey Murphy, OSF, tenth General Superior, who has served since 2006 and will complete her term with this 2018 Chapter. Sister Sherrey celebrated 50 years as a Hospital Sister in June and has served 24 of those years in Germany. “As the General Leadership of an international Franciscan congregation, we are responsible for ensuring that the members of the Congregation and its ministries are oriented to the life of Jesus Christ and St. Francis,” Sister Sherrey added. Article 162 of the Sisters’ General Constitution states: It is the responsibility of the General Leadership to consider and make decisions regarding the essential matters of the Congregation. They are to have concern for the common welfare and for the individual Sisters. It devolves upon them to vitalize the spirit and mission of the Congregation and to preserve its unity. While remaining faithful to our tradition, they give prophetic vision to the future direction. The tradition of observing the General Superior’s election on September 14 is significant for two reasons. First, the Church observes the Feast of the Exaltation of the Cross on September 14. This Feast recalls three historical events: the finding in 326 of the True Cross by Saint Helena, the mother of the emperor Constantine; the dedication of the church built by Constantine in 335 on the site of the Holy Sepulchre; and the restoration of the True Cross to Jerusalem in 629 by the emperor Heraclius II. Second, September 14 is the date that Father Christopher Bernsmeyer, OFM (1777-1858) made his First Profession of Vows with the Franciscan Province of the Holy Cross at Koster, Hamm, Germany. On July 2, 1844, Father Christopher founded the Hospital Sisters of the Third Order Regular of St. Francis in Our Lady of Grace Chapel, Telgte, Germany when he welcomed four women who followed their calling to be of service to God and care for the sick. Others participating in the September General Chapter include Professor Doctor Friar Michael Plattig, O.Carm., educator and spiritual director for Motherhouse Community in Münster, who will serve as a Consultant along with Process Facilitators Father Hans-Bern Koeppen and Professor Doctor Margaret Nemann, both of the Diocese of Münster. There will be two German/English translators, two Japanese/English translators, and two Polish/German/English translators to facilitate communication between the Chapter delegates. The international Mission Statement of the Hospital Sisters of the Third Order Regular of St. Francis proclaims that: we are members of an international, multi-cultural congregation of Franciscan Sisters; we are committed to live the Gospel in the spirit of St. Francis of Assisi, our founder Father Christopher Bernsmeyer, OFM, our founding Sisters and all those who followed them; we are committed to live a simple life style in community; we find challenge in the values of the Third Order Regular Rule: conversion, contemplation, poverty and humility; we are dedicated to a common mission that brings Christ's healing presence to humanity and supports creative ways of responding to the sick, poor and needy; we witness our Franciscan spirituality by reverencing all creation, living and promoting peace and justice and respecting the dignity of all people. Internationally, the Sisters serve in health care, pastoral care, education, social services, and self-help projects while joining with others for ministries to serve the people in need.